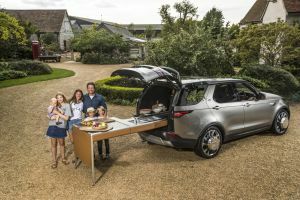 Chef and TV personality Jamie Oliver and Jaguar Land Rover’s Special Vehicle Operations have adapted the British car brand’s latest Land Rover Discovery model with dozens of kitchen gadgets to create the ultimate kitchen on wheels. Designed to demonstrate the Discovery’s versatility, the bespoke built Land Rover will feature in a three-part series with life-long Land Rover fan Jamie Oliver, premiering on his YouTube channel at 18.00 GMT on Thursday 5 October, click here to watch. 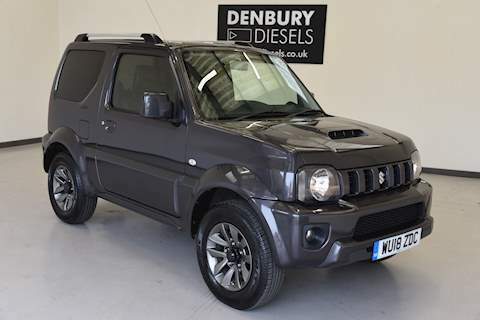 The family SUV, bespoke-built completely to Jamie Oliver’s specification, integrates an extensive list of kitchen gadgets and appliances including a 4.7-litre slow-cooker in the engine bay, barbecue, two-slice toaster concealed in the centre console, plus spice rack for 11 pots. Three of the four wheels are fitted with butter churners, whilst the fourth will make ice cream using paddles connected to the wheel nuts as it drives. The 2,500-litre boot space even includes custom-made aluminium sink, a 40″ flat screen TV, and extending kitchen worktop which doubles up as a family dining table. Read the full press release from Land Rover here.